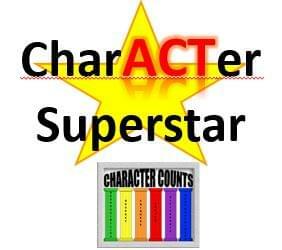 Mix 1033 and Newtopia Fun Park are looking for Character Superstars! Help us by nominating a young person, first through sixth grade, who has shown outstanding character by doing an act of kindness, a courtesy or having a positive impact on others. 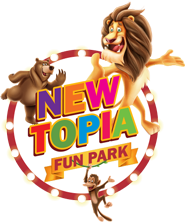 We’ll choose a winner each weekday, and our character superstars will all be invited to a pizza party at Newtopia Fun Park. the next Character Superstar Party at Newtopia Fun park will be May 7th, 4p-6p. Newtopia is a 13,200 square foot indoor playground designed specifically to keep your children happy for hours. We have a three level indoor play structure. that has a variety of activities for your kids to enjoy such as: a giant 4 person wave slide, battle balls, pyramid obstacles, web net bridges, spinning plates, play panels…and the list goes on. And if that were not enough, we have soft play rides like a challenge courses volcano with slide, and more. These are soft and safe structures your kids have never seen and will never forget We have a special area just for toddlers with soft play equipment specifically designed for them; such as an animal merry-go-round, soft foam slide, ball pit, building blocks, and much more! The area is isolated quite nicely so older kids aren’t getting in the way of your small infant/toddler as they crawl and explore. Moms and dads can enjoy their toddler’s play in a fun, clean and safe environment. Parents we haven’t forgotten about you! We have a cafe area where you can sit back and take a break while you watch your kids play. Enjoy a beverage and snack while surfing the Internet with our free WiFi. – For more info, click HERE.